A Bedford shopkeeper has died after being found with head injuries in the flat above his convenience store. 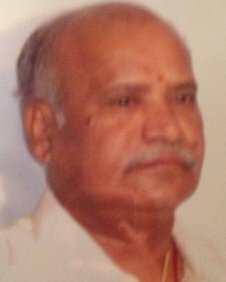 Vairamuthu Thiyagarajah, 56, died in hospital on Thursday after being found above MK Food & Wine on Elstow Road the previous Sunday. Thilak Mohan-Raj, 25, who also lived above the shop, was charged with grievous bodily harm with intent when he appeared before magistrates. He has been remanded in custody by Luton magistrates. His next appearance was set for Luton Crown Court on 24 April. Mr Thiyagarajah, who was originally from Sri Lanka, died with members of his family at his bedside and leaves a wife, son, four daughters and several grandchildren. A post-mortem examination is due to take place on Monday.